All credit card donations are processed by PayPal. Click the button below to donate with your Visa, MasterCard, American Express or Discover card, or to donate using your funds from your PayPal account. 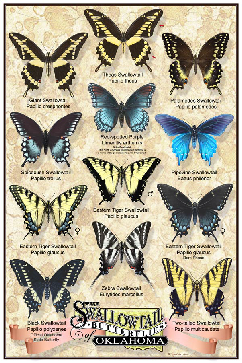 In the United States, all donations to The Butterflies of the World Foundation are tax-deductible from your federally-taxable income. All credit card donations are processed by PayPal. The Butterflies of the World Foundation was formed 27 April 2007 and 501(c)(3) tax-exempt status was granted on 15 September 2009. Only ten 20”x30” wonderfully detailed posters available for the holidays! 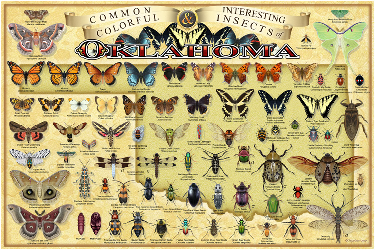 Oklahoma, each suitable for framing. Butterflies of the World Foundation. people about butterflies and safeguarding their habitat. available by reservation by calling Annie Hart at 405-485-2962. Make your donation to Butterflies of the World Foundation via . protective mailing tube via the USPS. Framing is not included. Thank you.